This is a great choice and I like how you'd use the idea that you can't control another person and the theme of compromise. Your activities are excellent. Sounds like a fun classroom book. I love how bizarre and yet completely coherent in child logic, so many of Jeffers' stories are! Love this one. I should learn more about moose in the real world! Thanks for the reminder/suggestion. Such a wonderful book - and what an idea: that a moose could belong to anyone! I have this book! 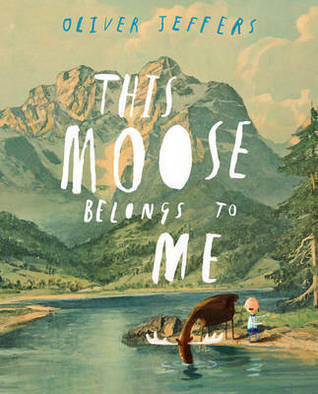 All of Oliver Jeffers' books appeal to me. So zany and fun. Your classroom must be a fun place for learning.